Facing the new snow head on. 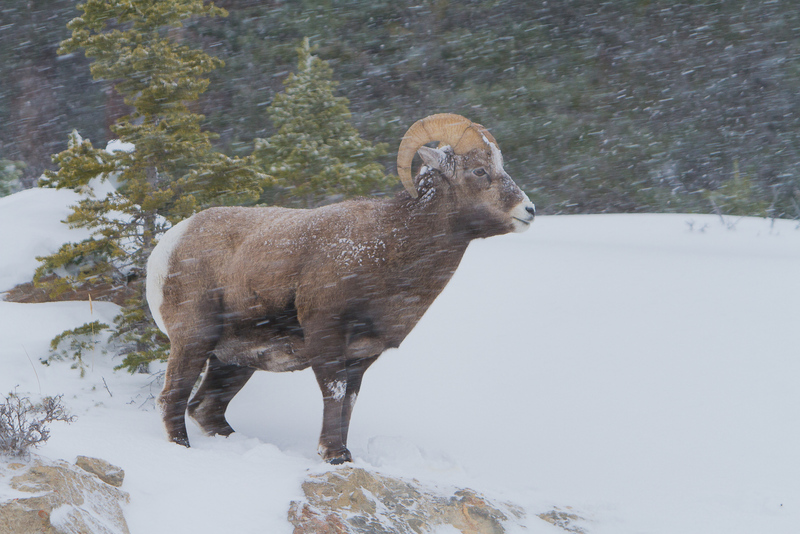 After a season of feeding in preparation for the cold months ahead this sturdy Big Horn Sheep is ready to take on the winter elements. See our featured video for this image on our blog at http://www.lancebcarter.com/blog/category/videos/. Photo © copyright by Lance B. Carter.